Easter crafts are always fun for the children and Baker Ross have a wonderful choice of easy to make kits that always look great when finished. 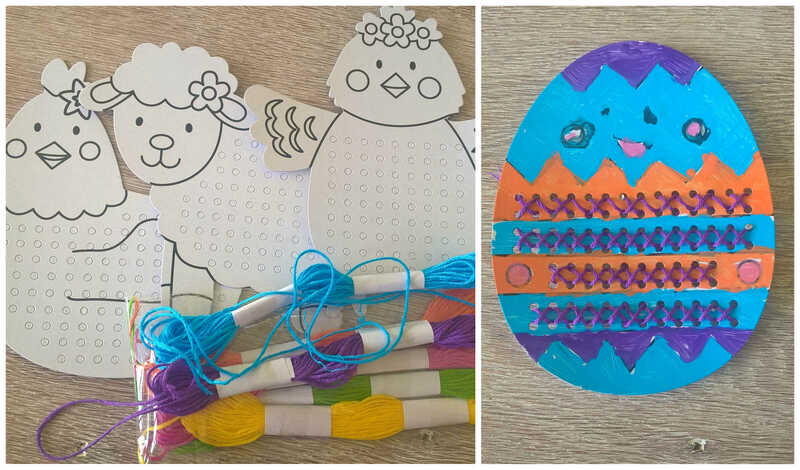 For Easter there is everything from cross stitch card shapes, make your own jigsaws, and some rather lovely scratch art birds. 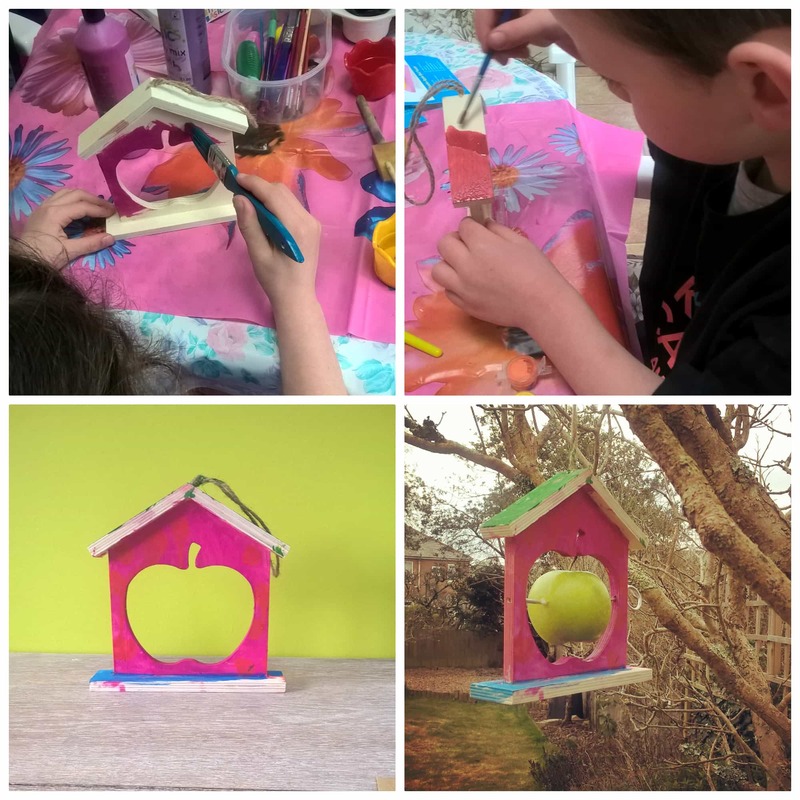 With Spring finally here and the sun starting to shine in the garden, the children couldn’t wait to paint the Wooden Apple Bird Feeders. These little wooden house shapes have a metal pole across the centre upon which you can place an apple and then hang from a tree for the birds to eat from. We have plenty of birds in our back garden so we couldn’t wait to get these up in the trees to see the birds enjoying them. 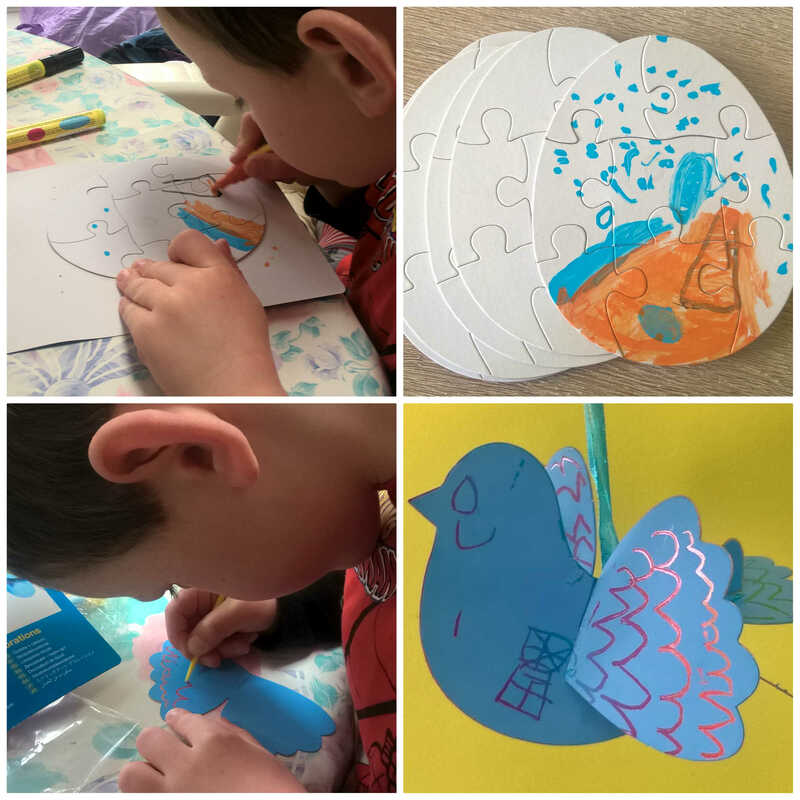 With birds in mind, we had some really lovely scratch art bird kits, perfect for Easter crafts, that the children love to do. The scratching is really simple to do and my 5 yr old sat eagerly creating a pretty design on his birds wings. The scratch art effect underneath the main colour is rainbow coloured which is really fun and bright. He also enjoyed making designs on the Make your own jigsaws. The first one he made was a volcano with lava coming out, not particularly Easter themed, but a design he thought up himself and enjoyed doing. I love the Baker Ross cross stitch kits. A simple piece of shaped card that you colour in, and then cross stitch on top with a chunky plastic needle. 8yr old Miss M loves these and tried the egg shaped one first. These are bright and fun and make a great gift for grandparents at Easter or are also great hung up as Easter decorations. As usual Baker Ross have provided a great selection of crafts to do for Easter. We also got some golden coloured plastic eggs which we plan to hang some ribbon from and put a little chocolate egg inside and then hang around the garden as part of our Easter hunt. I’m sure they will prove highly popular with the children and lots of fun on Easter Sunday! This entry was posted in Reviews and tagged baker ross, crafts, Easter, kids by Fiona Martin. Bookmark the permalink.